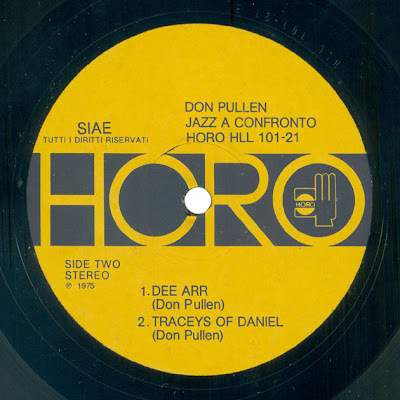 I bought this vinyl on e-bay, and the seller knew that the cover identify the first printing of the record, but when this record I was delivered, inside label identified it as a reprint (you remember the specifications of this label?). 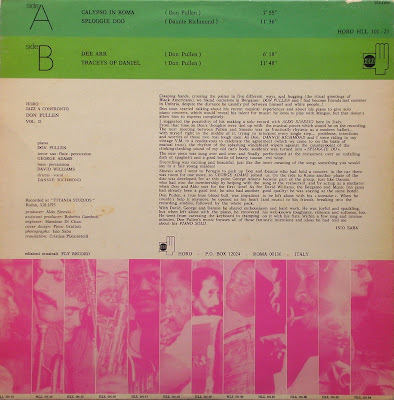 Once placed it on the turntable, I understood the reason for this exchange: the B side is just VG-, because of several clicks away disturbing listening, especially toward the end of the track "Traceys Of Daniel". 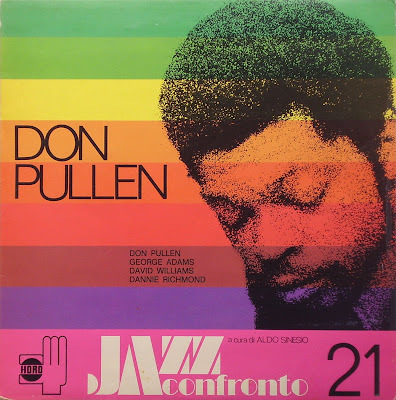 But the music of Don Pullen, and his companions, made me forget the trick of the seller. 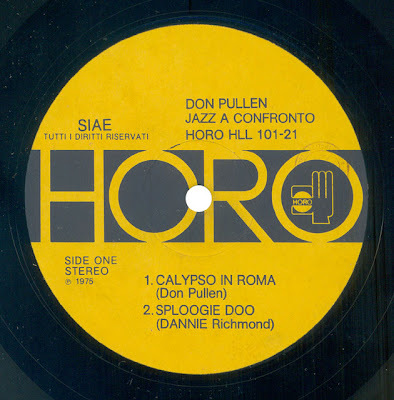 A1) Calypso In Roma - 7'55"
A2) Sploogie Doo - 11'36"
B1) Dee Arr - 6'18"
B2) Traceys Of Daniel - 11'48"
Muchas gracias por subir esta grabacion fabulosa. molte grazie per questo bellissimo album!